1)As the third monomer of acrylic fiber, this product can improve the dying properties, the heat resistance and flexibility of fibers, so they can absorb color fast and have strong fastness and bright color. 2)As a monomer of corrosion and scale inhibitors, this product can be used in water treatment chemicals. It can polymerize with acrylic acid, acrylamide, maleic anhydride, sodium hypophosphite and has good scale inhibition effects for calcium phosphate, zinc salts, carbonate calcium and calcium sulfate. 3)As a nickel-plated brightener in the plating pre-treatment agents. 4)As an oil field chemical, it can polymerize with acrylamide, acrylic acid, sodium humate, acrylamido propyl trimthyl ammonium chloride, acrylamido-ethyl-2-methyl ammonium chloride, diethyl diallyl ammonium chloride, allyl trimethyl ammonium chloride to be dispersants, fluid loss agent and have remarkable effect in anti-high temperatue and salt. 5)It can be used as a high-powered water reducer of poly carboxylic acid to low the water added of products and retard well. 6)As a paint additive, it can be used to produce thermosetting acrylic resin and coating dispersant to increase the water-solubility. 7)As a monomer of flocculant, it can polymerize with acrylamide. 8)It can polymerize with methyl acrylic acid, it aconic acid to be a dispersant. 9)It can be used to mak CPPL and high water-absorbing resin in electronics and materials processing. 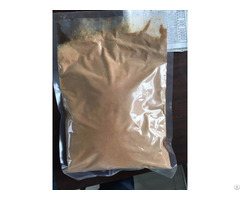 10)It can polymerize with sodium acrylate, styrene-acrylic emulsion, polyvinyl alcohl to improve fertilizer about red soil and strenghthen absorb ammonium ion, nitrate ion. 20kg/bag in a PP woven bag with PE inner liner, or according to the customers. 16Tons/20’GP. Attention: 1) This product is hazardous to health, prevent ingestion of this product. 2) Rain proof, wet proof and resistant of the exposure to sunlight when transportation. 3) Be store in a dry and cool place. Business Description: Shandong Shouguang City Songchuan Industrial Additives Co.,Ltd. is located in the beautiful and rich Bohai Laizhou Bay, which is a base of salt chemical product and the "Vegetable Town"of Shouguang City, China. Our company is about 40km away from Shouguang City, and 50km away from Weifang City which is called "International Kite Capital". It is adjacent Jinnan-Qingdao Highway, Rong Wu Expressway, 309 National Highway, Weifang airport, Weifang Port. It is very convenient for transportation by sea.land and air. Our company covers an area of 1000 square meters. We have the domestic advanced equipment and the senior technical staff. Mainly products: Sodium Allyl Sulfonate (SAS), Sodium Methallyl Sulfonate(SMAS), 2-Acrylamido-2- Methyl Propane Sulfonic Acid(AMPS). The production capacity exceeds 8000 metric tons. Based on the particular geographical advantage, we established a branch company for Sodium Chloride, Calcium Chloride, Magnesium Chloride, Snow Melting Agent, etc .For Calcium Chloride the production capacity is over 50000 metric tons; for Sodium Chloride, 100000 metric tons; for Magnesium Chloride, 30000 metric tons; for Snow Melting Agent, 100000 metric tons. The co-development structure of fine chemical and base chemical has already been well formed. Our company owns import-export operations right and separate trade firm. Our products are sold well in Southeast Asia, Japan, Korea, Canada, European, USA and Middle East with lots of praise. The company insists "Good Fortunes, Top-grade Product, Serving Customers, Serving Society" as our enterprise tenet in order to create good future with all the customers by heart and soul.